BREAST REDUCTION can help relieve symptoms of pain, neck ache and back strain while helping you to look and feel better about your appearance. Many women suffer musculo-skeletal symptoms needlessly due to the effects of excessive breast tissue. Back, shoulder, neck and breast pain; deep shoulder grooves from bra straps digging in; skin chafing between and underneath the breasts; poor exercise tolerance– these are among the many symptoms which can be drastically improved with your breast reduction surgery. 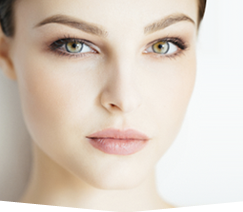 Dr. Grenga has performed this procedure hundreds of times since 1984, for women whose ages range from 16 to 76! WHAT is involved with breast reduction surgery? Beginning with a consultation with our plastic surgeon Dr. Grenga, we can learn more about your goals for reshaping your breasts. Your past medical history, including any experience with prior surgery, is documented during your consultation. A list of any medications that you may take is recorded and you will have photographs taken. These will be used along with other details of your breast assessment when seeking preauthorization with your insurance company. Because most insurance companies have specific criteria that must be met in order for the surgery to be covered, we will help you to determine if you meet these criteria. The operation itself is usually performed in an ambulatory surgery setting. This means that you can recover at home without need for a hospitalization, providing that your medical health permits. Sore back? Poor posture? Neck pain? Skin chafe from large breasts? Can’t find a comfortable bra? These are among the many symptoms that plague many women who, like you, seek breast reduction surgery. 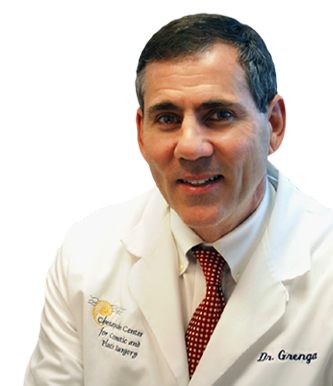 You should consider the only permanent solution for relief of such symptoms: breast reduction surgery by Dr. Grenga at the Chesapeake Center for Cosmetic and Plastic Surgery. To schedule your consultation with one of Hampton Roads most experience breast reduction plastic surgeons, call today at 57-673-5900 or CLICK HERE to be directed to our “Contact Us” page. On that page, you can indicate the reason for the consultation and how we can most easily contact you. TO LEARN more about breast reduction surgery, CLICK HERE to be linked to the American Society of Plastic Surgeons’ web site on this topic. THE PAGES below illustrate many more examples of the results of breast reduction surgery which Dr. Grenga has performed over the years. I recently had a breast reduction in December. My case was seen by insurance as unusual due to my small height, 4’9, and low weight, 106. I request to reduce my DD through insurance due to the distress they caused (pain in shoulders, indentions, and frequent rashes under the fold). Since my DD already seem small for some women insurance originally denied my claim under a different plastic surgeon who told me to ‘lose weight’ as if i have any to lose. I scheduled a second opinion with Dr. Grenga and his team, and they helped me through the process of getting my reduction approved. I’m so happy with my results and after only 3 weeks my posture is improved slightly, and my shoulders and back finally have relief. Dr Grenga has a wonderful personality and his work speaks for him. You won’t regret going with Dr. Grenga and his team they will fight insurance companies with you, are attentive, constantly available, and compassionate.